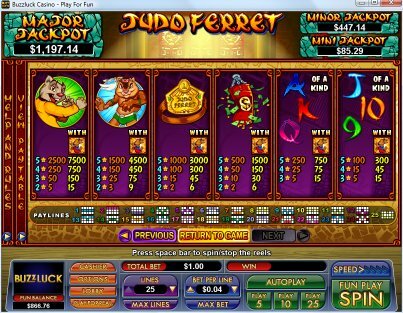 Overview: When the forces of fur and might of martial arts combine, you get a truly lethal mix! 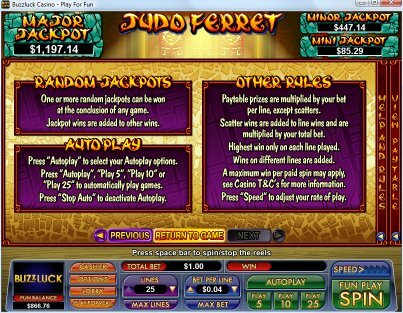 Judo Ferret is a crazy new 25-line slot from Nuworks Gaming. 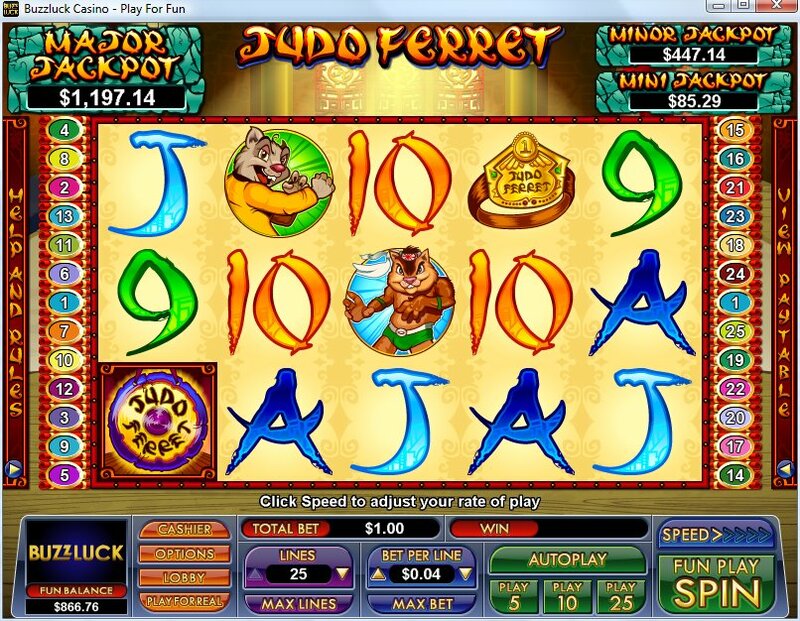 The wacky Judo Ferret is a tripling Wild symbol and the bonus screen lets you choose your fuzzy free game champion. 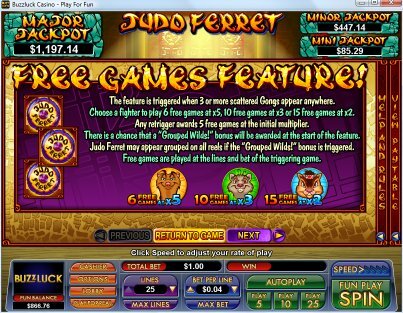 Pick the Judo Ferret, the Shaolin Squirrel or the Jujitsu Chipmunk and play either 6 free games with prizes at times 5, 10 free games with prizes at times 3 or 15 free games with prizes doubled. There's also the chance to be awarded grouped Wilds in the free games! 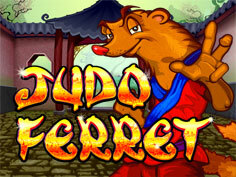 Are you brave enough to face the Judo Ferret? Hiiiiieeeee-yah! 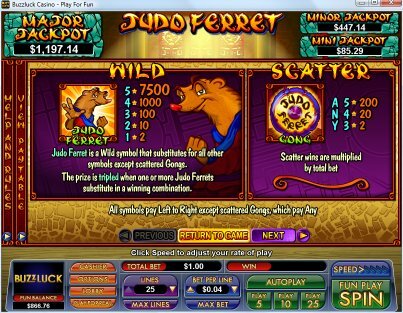 Similar Slots: If you like Judo Ferret, you might like these other slot machines from NuWorks: Camper's Cash, Enchanted Beauty, Silk Caravan, Stagecoach, Sword of the Samurai, Watchdog.